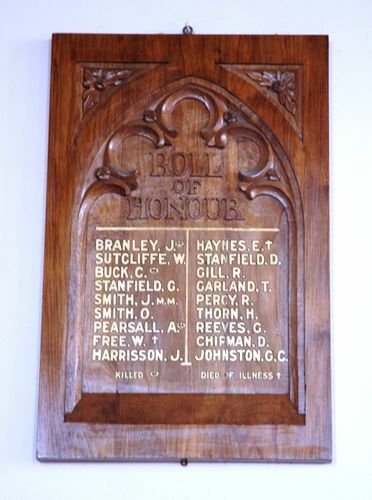 St Matthews Roll of Honour commemorates those who served in World War One. It lists 18 names. The Bishop last week paid a visit to Rokeby for the purpose of unveiling the roll of honour which has been placed in St Matthew's Church .The roll contains the names of 18 men of the district who enlisted for the great war, and of these five made the supreme sacrifice. The Bishop in an impressive address, referred to the example set by those men who had answered the call of duty and the responsibility that rested with the country to make good and show itself worthy of those who had fought for it. The tablet which is of blackwood, carved in Gothic design, was the work of Miss D. Hookey who presented it through the Rokeby Red Cross Circle. The Mercury (Hobart), 30th March 1920.